Does Weightlifting Help You Lose Weight? For decades, the only pathway to weight loss seemed to be cranking up your cardio output and decreasing your caloric intake. A simple formula, and accurate, but many struggled with the basic “burn more than you consume” approach, especially when caloric deprivation affected their ability to execute AND recover from their workouts. Over the last several years, wellness professionals have tried to shift the paradigm to a new mindset about fitness and weight loss. Instead of a simplistic formula, the contemporary process has many prongs, including diet, lifestyle adjustments (such as sleep and stress assessments), and evaluating on an individual basis which activities produce better weight-loss results, cardio or weightlifting. So in simple terms of whether or not weightlifting can help you achieve your weight-loss goals, the answer is yes. Weight-loss goals can be as singular as attaining a magic number: pounds lost or hitting a goal weight. They also can be more complex and involve changing the composition, function, and/or appearance of the body — e.g. growing your booty — getting leaner and stronger, or being able to complete a certain workout/activity/race. Which route to take depends on individual goals, preferences, and the body’s response to exercise stimuli. 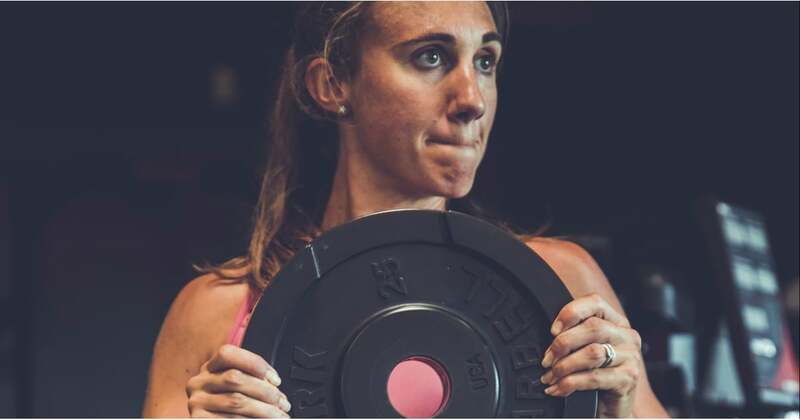 The bottom line with weightlifting is that it DOES alter the muscle-to-fat ratio, and with more muscle comes a higher degree of caloric consumption and potential fat burning. Even the best bodyweight exercises have limits; one cannot significantly increase their muscle content without lifting weights. It’s the hows and the whens of your lifting that will facilitate your specific success. Traditional weightlifting is a sport within itself — think Olympic powerlifting — training your muscles to execute one or two peak lifts at maximum weight. This means training with heavy weights and limited repetitions before reaching failure. It produces substantial muscle fiber growth as a result. Muscle fibers require more energy to work, especially to that level, and thus seek energy sources within the body (e.g. fat stores) to fuel the work. Bada boom, bada bing — weight loss. Not interested in that kind of lifting? Never fear. Powerlifters often use less drastic weight-training techniques to build up to those peak lifts, which is something we mere mortals can utilize for our own goals. Select weights that will allow you to achieve three rounds of 10 to 12 repetitions, making sure that you are struggling to complete the last several reps (maybe try one of these workouts to get started). This approach triggers the development of muscular endurance, which triggers greater fat burning and more efficient calorie burning. Oh, and weightlifting DOES change your body composition. Ask yourself if you’d rather look thinner or actually become more toned and defined overall. If your answer is the latter, that’s your reason to add weightlifting into your routine. Will you gain weight? Possibly at first as your body decreases the size of its fat cells and increases the real estate your muscle fibers take up — remember: muscle weighs more than fat. You will notice other changes, too. Your clothes will fit better, you will have more energy, and you’ll feel more confident in how you look and move. Paired with a strong cardio component, weightlifting can be the difference between minimal and noticeable changes in your body’s presentation . . . in the best of ways. So get lifting, and head toward your goals a little bit faster.